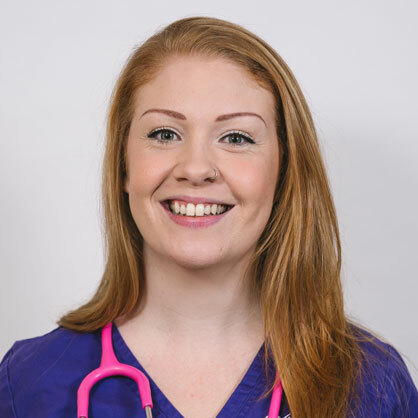 Highcroft’s Emergency and Critical Care Referral Service is led by Helen Wilson BVSc(Hons) MVetMed DipACVECC DipECVECC MRCVS. 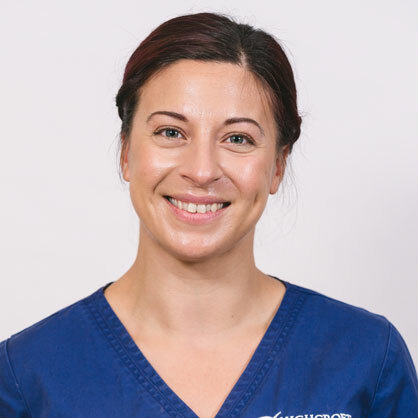 Helen is an RCVS Recognised Specialist with many years of experience dealing with critical cases. Just like people, sometimes animals need intensive care. Emergency and critical care is the assessment, stabilisation, investigation and management of patients presenting as emergencies and requiring intensive care to overcome their disease processes. Any patient may require intensive care at some point during their treatment. 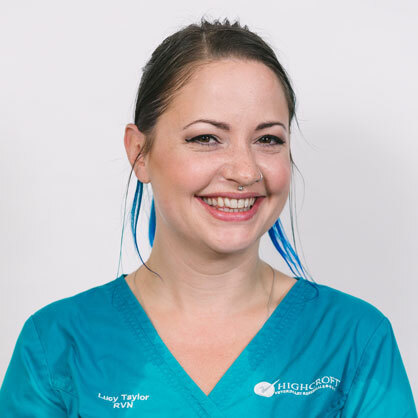 At Highcroft we are able to provide a truly multidisciplinary approach to cases, by integrating our experienced emergency and critical care team with our other specialist services to deliver the highest level of care to all our patients. Many patients with medical conditions can present with sudden-onset conditions (such as acute kidney injury), or can experience an abrupt deterioration due to a more chronic disease (for example neoplasia). Both can result in acutely ill patients needing emergency assessment and stabilisation. Our emergency and critical care department works closely with our internal medicine team to collaboratively stabilise sick patients such that they may undergo further investigations to diagnose their disease processes and develop suitable treatment plans. Our team recently treated Frankie, a beautiful labrador who had sadly eaten rat poison. He presented with severe bleeding in multiple organs and required many transfusions with both packed red blood cells and plasma to correct his coagulopathy. Frankie underwent intensive care for several days before he was able to go home, but he made a full recovery and is once again accompanying his owner everywhere, including to the local pub, where he is a well-known celebrity! 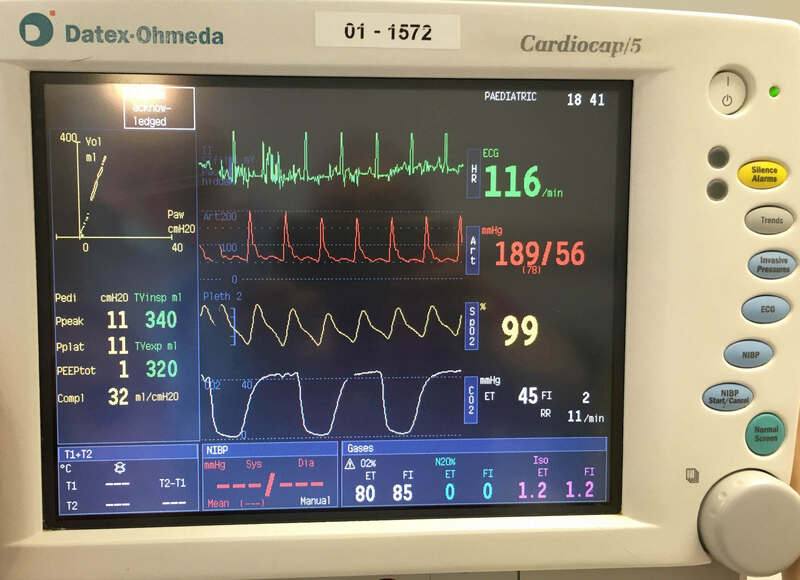 Critically ill patients presenting with surgical conditions often require aggressive stabilisation before they can be safely anaesthetised for surgery to be performed. Examples include septic peritonitis, haemoabdomen, GDV, lung lobe torsions and trauma cases. Our emergency and critical care team works closely with our fantastic anaesthesia department, to ensure patients are stabilised both prior to and following surgery. Surgical patients also frequently require intensive care for several days post-operatively and we have a comprehensive range of equipment to enable our team to provide the highest level of intensive care and constant monitoring for these patients. The team recently treated a dog who had sadly been hit by a train. Our emergency and critical care, anaesthesia and surgical teams all worked together to stabilise Maya, who presented hypovolaemic, with a pneumothorax and a severely damaged forelimb. She underwent aggressive volume resuscitation, chest drain placement and a local anaesthetic block of her affected limb. She required extensive surgical debridement and wound management, but we were able to save her leg and Maya is now back to her usual bouncy and happy self. We accept a wide range of emergency and critical cases as referrals. Please call us if you have a case needing an immediate referral.